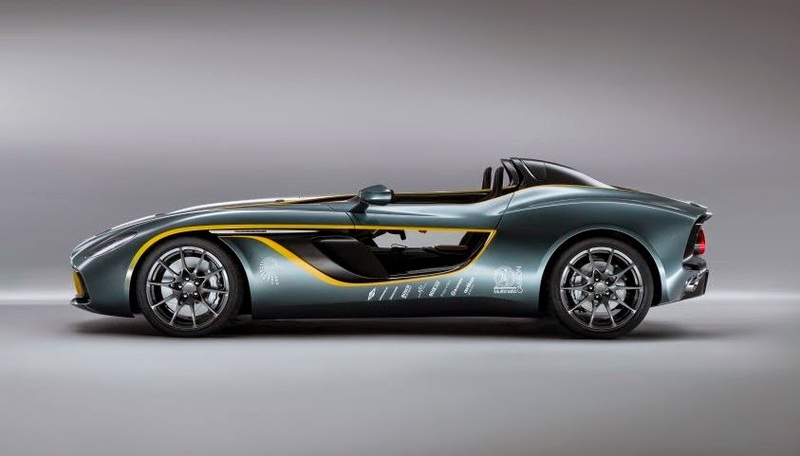 This is the Aston Martin CC100. 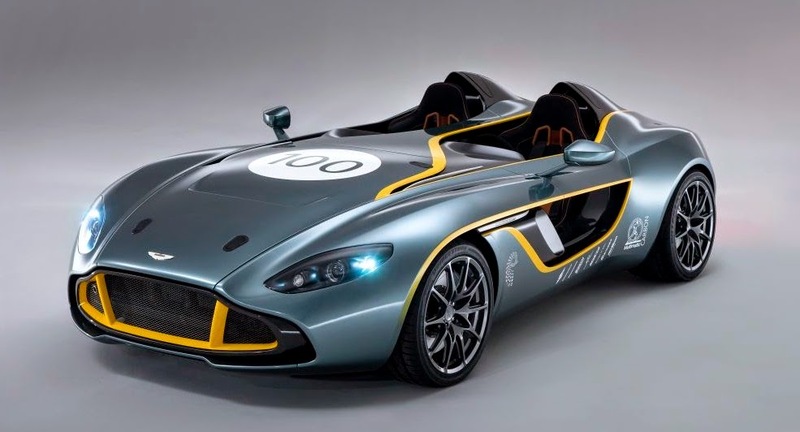 Created to celebrate Aston Martin's centenary and designed to reflect the 1959 DBR1 racer which won at Le Mans 24 Hours and Nürburgring 1000km. 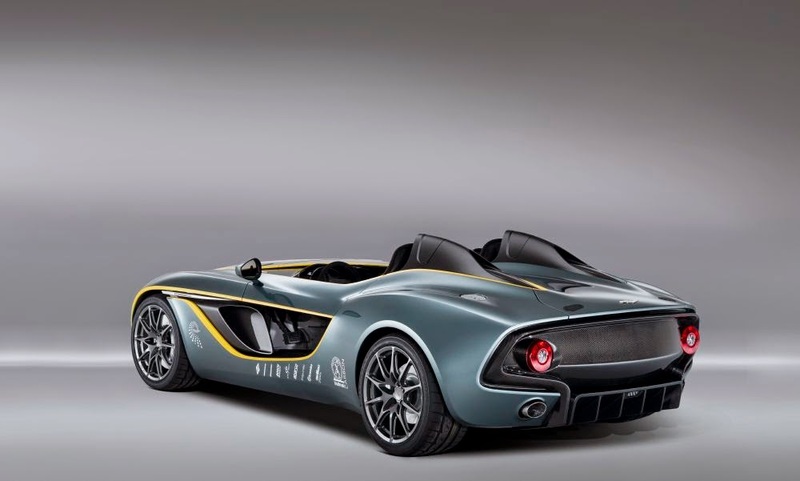 The CC100 is based on the Vanquish and shares its underpinnings and 6 litre V12 engine which, in the Vanquish produces 573hp. 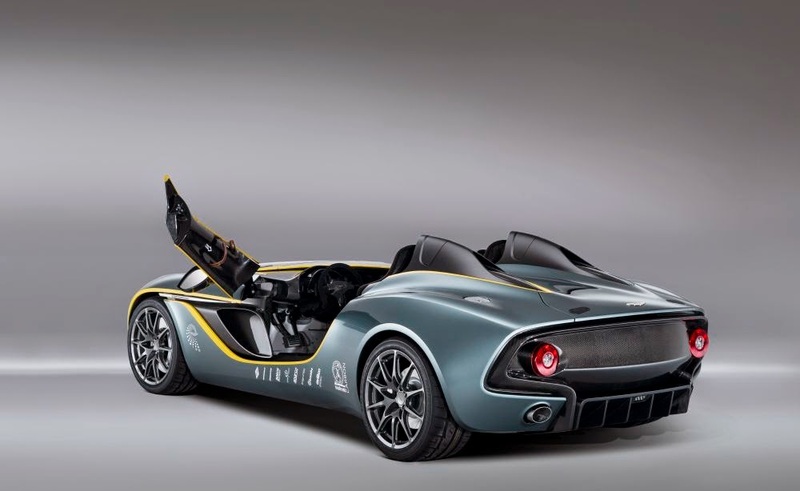 The CC100 does 0-62mph in just over 4 seconds. For now it is a one off concept car. 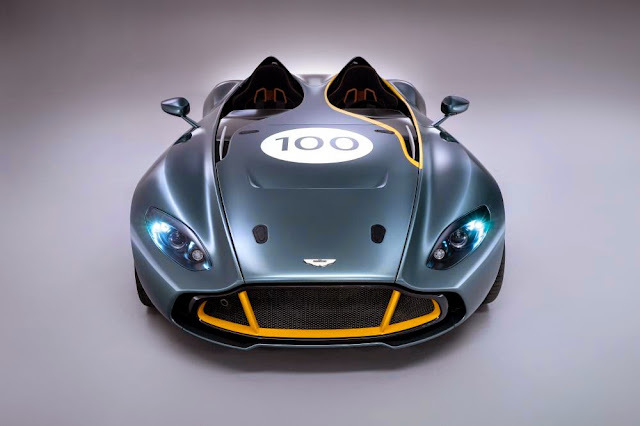 Whether Aston Martin produce a limited run of the CC100 depends on how many customers flash the cash and persuade them to do so. If Aston Martin's road cars all look similar to you then have a look at our Aston identifier here.